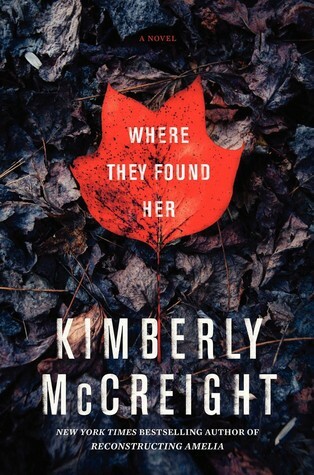 Today I'm featuring Where They Found Her by Kimberly McCreight, borrowed from the library. It isn't until afterward that I think about the bag or the bloody towels stuffed inside. They're too big to bury, but I can't just leave them behind. Maybe I should have been better prepared. Thought more about the details. But it's hard to be ready for something you never imagined you'd do. Page 56: "'Or, you know, maybe they printed that because that's all they know. Not everything is some conspiracy." My thoughts: After reading McCreight's first novel, Reconstructing Amelia, I was pleased to discover her new novel. McCreight is a good storyteller, and a welcome addition to the psychological suspense genre. 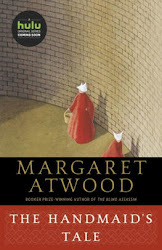 From Goodreads: From the author of the New York Times bestseller and 2014 Edgar and Anthony nominee Reconstructing Amelia comes another harrowing, gripping novel that marries psychological suspense with an emotionally powerful story about a community struggling with the consequences of a devastating discovery.